Of these, affection is the trickiest one for me since it relies on being able to be affectionate in a way that the other person can accept. Gary Chapman’s book The 5 Love Languages: The Secret to Love that Lasts is a classic work that exposes that people have different ways that they receive and give love – and that some ways are more impactful than others. We often associate affection with the kind of contact that high-touch folks like myself enjoy (i.e. snuggling), but it could just as easily mean acts of service. A key part of Richo’s argument is that you should not get more than 25% of your nurturance from another person. I’ll admit that this is perhaps the hardest thing that I had to come to grips with in the entire book and I wanted to argue against it until I took a step back. Even in the best relationships you should still have other activities – activities that you enjoy outside of the relationship. You still have work, from which you, hopefully, derive some value from beyond a paycheck. As I started thinking about all of the different ways that someone could be nurtured through their lives I began to wonder if 25% isn’t right. In truth, I don’t know what the right answer is and I don’t think Richo does either. The point being made – and it’s a good one – is that you cannot rely on a single person to give you everything you need. Not only do you need to seek out others, but you also have to work on self-care as I mentioned in my review of Beyond Boundaries. Self-care, taking responsibility for nurturing ourselves, is equally important as relying on other people because other people are going to let us down and we need to know how to accept and allow that. How do you know whether someone is just going through their own time of need and doesn’t have anything to offer for the moment or whether a relationship is critically flawed and cannot be repaired? That’s a difficult if not impossible question, but it’s a question that deserves an answer. 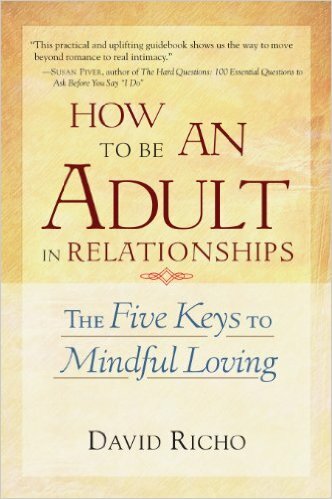 We’ve all stayed in relationships too long – both personally and professionally. We’ve lingered in a dating relationship because we wanted the attention. We’ve stayed at a job too long because we couldn’t get up the courage to start the job search process again. We’ve stayed in a job role because the organization “needed” us to stay there – even after we knew that it had become soul crushing for us. In some cases our reality distortion (See Beyond Boundaries) causes us to delude ourselves into thinking it will get better. We decide that instead of a permanent issue it is only a temporary thing. That it’s not really as bad as we think. We apply full cognitive behavior therapy [CBT] (see Redirect) to ourselves and try to sooth the pain that we feel at the loss that we know needs to happen. If we’re particularly good at CBT, we’ll delude ourselves to the point that there’s no longer a problem. Love is a tricky thing – particularly in English. The ancient Greek had three words that are all translated into love: eros, philos, and agape. Eros is romantic or sexual love, philos is brotherly love (and where Philadelphia gets its nickname as the city of brotherly love), and agape is God’s love. If you just start with this, is there any wonder that there is some confusion about what we mean when we say love? We all know what we mean when we say “I love you” to our parents or siblings. However, the same three words mean something completely different when expressed to your spouse. However, the different types of love aren’t the only issue we face when talking about how we love. Another issue is how we define love. How do you know when you’re in love? Is it the time you spend together? Is it the butterflies in your stomach? Perhaps it’s the warm feelings you get. The problem is that these aren’t a definition for love. Neither is a deeply intimate emotional connection. That should be a part of a romantic relationship – but it doesn’t define it. You may have friends to whom you can tell “anything.” (Based on some of the quite depressing research you may not have a close confidant either, but I hope you do.) That friend is likely not a romantic interest. So while you may love them in the philos and agape senses of the word, you probably don’t love them in the eros sense of the word. Another popular definition for love is commitment. That is a level of responsibility to another human being (not responsibility for, see Boundaries). However, commitment isn’t all love is. Commitment is the residue of the feelings and emotions. It is the residue of the trust and intimacy that have developed. So while love – in all its forms – has a component of commitment to it, that commitment isn’t the litmus test for whether love exists. So, why then is there all this talk about love in the context of business? Well, the answer is that it’s evidence for me that we simply don’t have a good understanding of our relationships. There has been more written and sung about love than any other word – and most of us don’t really know what it is. One errs by excess and the other by deficit. What one person has in abundance the other cannot muster. Consider the twin ideas of truth and grace which are interwoven through the Christian bible. A person with too much truth and not enough grace will be cold and callous. That person may be right but no one will want to hear what that truth. There’s an old saying that no one cares what you know until they know you care. Conversely, someone who is all grace and no truth will be friendly but won’t be able to have the hard conversations. Finding the balance between truth and grace – and delivering the messages with love – is perhaps one of the hardest things to do in relationships of all kinds. An overeater is plagued by an excess of food. The anorexic is plagued by a lack of food (fear of becoming overweight.) One errs by excess and the other by deficit. When being an adult in a relationship it’s critical to find balance in our lives – or at least accept that others need balance in our relationships – so that we neither smother nor starve our relationships. Being an adult requires quite a bit of emotional intelligence, awareness of who you are, and ultimately where your boundaries are. As I leave this book review, I want to acknowledge one key feature of this book that is unique. 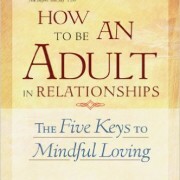 How to Be an Adult in Relationships includes a great number of journaling questions. It is designed for you to be able to read and ponder and learn from the material in a deep way. This is a great way to really grasp the material and apply it to your life.